We travel in groups and do what you’re supposed to do…You just don’t travel late at night. Our kids feel extremely safe on our campus. Our campus is extremely safe and I think kids have got to be responsible and they’ve got to be smart. You don’t go out by yourself at night, I don’t care where you are. 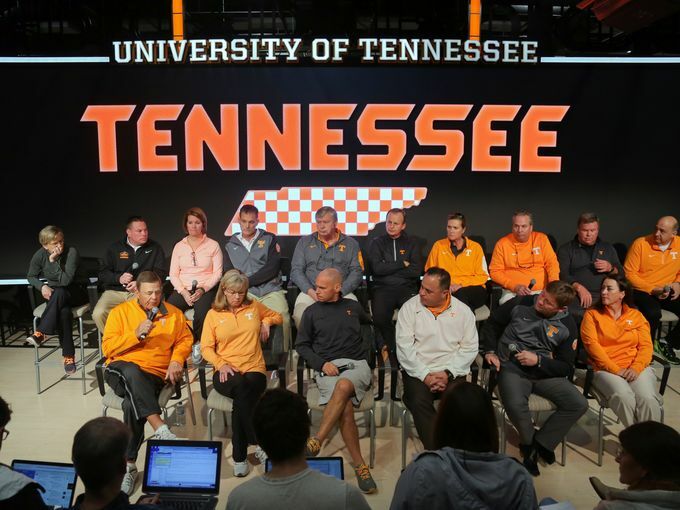 On Tuesday morning the school’s head coaches took it upon themselves to host a press conference regarding the lawsuit, safety and culture at Tennessee. Similar to Warlick, coaches shared their belief that the University of Tennessee’s campus is safe, and they balked at the suggestion that the lawsuit had any validity. According to men’s basketball Head Coach Rick Barnes they held the press conference to combat stereotypes about the University. Women’s softball coach, Karen Weekly, stressed that the culture at the University was the best it’s been since she arrived at the University. And Warlick and football Head Coach, Butch Jones, shared their concerns that the lawsuit and the plaintiffs’ claims were negatively affecting the recruitment process. To the head coaches at Tennessee, I’d like to say thanks for those gems, but with all due respect, you can take those opinions and that press conference and shove ‘em. Keep all of ’em, I don’t need em. Of course, coaches are free to have and share opinions, and they usually have interesting things to say. But when those opinions muddy the waters of sexual assault and place the importance of building teams over credible allegations of sexual assault, I have call BS. I’m not here for the false sense of security they’re selling. I don’t have time for ignoring facts and I refuse to be quiet when people in positions of authority try to undermine real life issues. That is exactly what the coaches at Tennessee are doing. Their self-serving statements are glossing over reality and deflecting from an issue that is plaguing this entire country. Let me break it down. 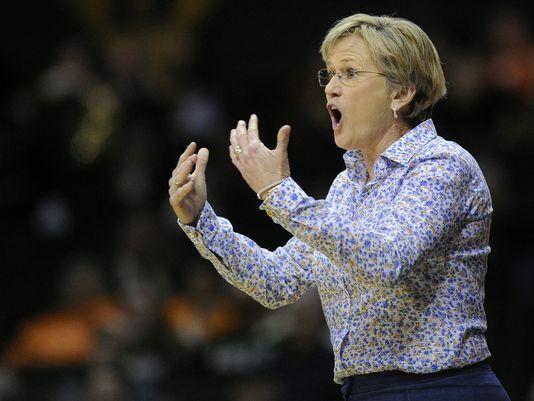 Let’s start with probably the most problematic commentary, Coach Warlick’s interview statements. By discussing how her team smartly stays safe by walking in groups at night, she deflects from the real issue of sexual assault. First, she ignores the fact that because most sexual assailants know their victims, they aren’t attacking them in public spaces. So, walking in groups won’t necessarily prevent a woman from being sexually assaulted. Second, by matter-of-factly suggesting that being smart keeps her student-athletes safe, she suggests that only dumb women, women without common sense, place themselves in a position to be sexually assaulted. That unjustly places the onus on women to exercise their intelligence to prevent sexual assaults instead of placing the burden on the men who do the assaulting. Her comments also suggest that because she and her student-athletes feel safe, other women must share the same experience. She is dismissive of the widespread pain that victims of sexual assault feel and supportive of the stereotype that only deviant, un-careful women fall victim to sexual assault. A close second to Warlick’s comments are the coaches’ comments about the University culture and recruitment. Rather than provide relevant arguments to the claims of sexual assault, the coaches offer nothing but their word to counter the lawsuit’s delineated incidents of sexual assault which at least span over 20 years, back to when Peyton Manning ran the QB position at Tennessee. No, they felt no need to speak about Tennessee’s policies against sexual assault, for instance. Instead, they merely offer their positions and opinions as head coaches to silence and overpower the voices of the unnamed women. The arrogance and lack of genuine concern is only doubled when they reveal that their true motive for speaking out is that they are now being faced with some tough questions during the recruitment process. What the press conference revealed is that the culture at Tennessee is exactly in line with that described in the lawsuit. It places successful athletes and teams above sexual assault victims. It only became an urgent matter for coaches to speak out when they found that recruits might be swayed by the suggestions that the culture surrounding sexual assault and student-athletes at the University was deplorable. And that is a travesty. Topping off the deflection and unsupported denial from the head coaches is Tennessee’s refusal to let its student-athletes, the ones who might actually have something meaningful to offer, have a voice on the issues. That a public university will allow its paid employees to have a press conference about a pending lawsuit, but prohibit its student-athletes from answering questions about their personal safety; is highly indicative of the value that institution places on student-athletes. It is clear that the administration views student-athletes in one of two ways. Either they are athletes, rather than thoughtful students, whose opinions do not matter; or they are students whose shared opinions could be so powerful as to have the potential to rattle the façade the community has created about the University. Rather than cultivate an environment where student-athletes have a stake and say in their experience Tennessee is taking the stance that its image and standing in athletics takes precedent over its most valuable commodity, the students. Now you see why there’s no country for old head coaches at Tennessee. Their words and efforts aren’t promoting transparency or growth. Rather, they are perpetuating the stereotype that many large Division I programs place their sports over their people.